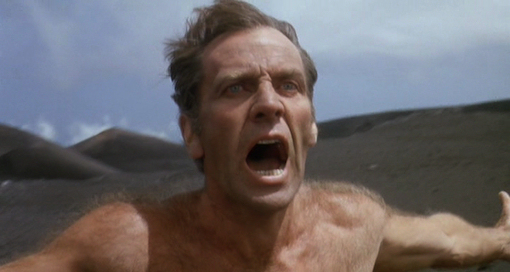 Pasolini's St. Paul: a Prophecy of Our Times? This article first appeared in counterpunch.org on January 16, 2015.
in English this decades-old text. be representative of the suffering body of humanity, constituting his religious side. His self-assurance in organizing the Christian communities, resulting from his high social class, his education, his professional (and rhetorical) training represents his active, energetic, worldly side. Who will rescue me from my split subjectivity? (St Paul, Rom. 7:14-25), Paul himself pleads, referring to his bodily needs and the duty to God. 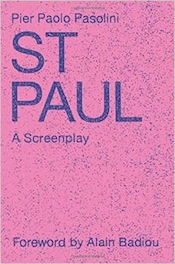 The mental and emotional turmoil the text creates with these contradictions (at least in this reader) derives from the purest and most provocative of Brechtian “alienation effects.” The film would have intensified this effect, placing the word and the image in a conflict of meaning on the screen. from the beginning. The account in Acts/ Luke-Acts of the founding of Christianity mystifies history. Pasolini chooses an example: the meeting of the evangelical leadership at an event known as “the incident at Antioch.” Not only had Paul earned the mortal enmity of the fanatic Pharisees for evangelizing the new religion but also the opposition of Peter and his adherents for converting the Gentiles without “judeiazing” them (that is transmitting the Law of Moses). During the “incident at Antioch,” the script depicts Peter and Paul in a face-off close-up nearly coming to blows over the issue of “judeizing” the Gentiles. Luke, the author of the Acts, a history of the founding of the Church, stands apart, patrician, ironic, amused as the cacophony of the mutinous meeting turns into sullen silence. One of these is in Ephesus, which Pasolini resets in contemporary Naples. While in voice-over we continue to hear Paul’s voice composing his long letter to Timothy, bidding purity, modesty, prudence, continence, gravity, piety — all the virtues of humility that restrain pride — the camera is directed to showing us a scandal of pride, luxury, class-power, and excess: In a grand pomp, there is Timothy, dressed literally in gold, crushed under the mitre, almost unrecognizable. And all around the multicoloured and magnificently carnivalesque chorus of other priests… A group of authorities: high officials, puffed up like turkeys in their grand uniforms; political men, in their black, double-breasted suits, with vulgar and hypocritical old faces; the throng of their bejeweled ladies and their servants, etc., etc. The altar encrusted in gold — a true and real golden calf — full of baroque affectations and neoclassical flourishes, work of total unbelief, official, threatening, hypocritically mystical and glorifying, clerical, of the master. used the term “liberal fascism” in the 1970s). of the greatest democracy in the world. Add all this and more, and we see in the archival images of the fascist era the image of our own times. This article first appeared in www.counterpunch.org on January 16, 2015. 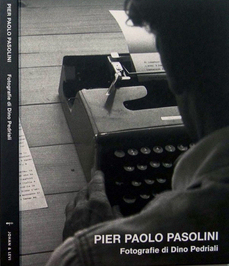 While Pasolini & photographer Dino Pedriali staged some of the photos for this 1975 photoshoot, they are nonetheless a record of Pasolini presenting us with a view of himself as a writer. As St. Paul exists only via Pasolini's notes and not as a full film, it seemed appropriate to include some of them as witness to this other aspect of Pasolini's creative work - the beginnings of what he hoped would be a work in progress. The book presents 78 photographs that Pier Paolo Pasolini commissioned Dino Pedriali to take over two sessions of two days each at his two houses in Chia and Sabaudia in the second week of October 1975. According to the photographer, Pasolini intended to use them in his last novel, Petrolio, which was published posthumously. Pedriali was to have met Pasolini to show him the photos on 2 November 1975, the day when the poet’s body was found on the beach at Ostia.